You've probably got dozens of apps set up on your phone but how many are educational? You might not like the sound of learning something on your mobile, but it really depends what you're learning - there are plenty of exciting skills you can hone on your phone. From cooking to coding, drawing to piano playing, if you get your phone (or tablet) set up right then you can be expanding your skillset and impressing the family in no time at all. Here are seven tutorial-type apps that have caught our eye that are worth checking out. Interested in becoming a world-famous cartoonist or sketch artist? Using your phone? The suitably named How To Draw has you covered - it's an older app but the skill of drawing doesn't really change, and it remains one of the most popular apps for teaching you how to sketch all kinds of different subjects. There are lots of different exercises to work through, from dragons to aeroplanes and other objects that don't fly through the air - note though that some of them are locked behind in-app purchases. You can draw right on the screen with a finger or stylus, or stick to standard pen and paper instead. There's a plethora of apps out there to help you learn a language, and Duolingo is one of the best of the bunch (and completely free to use as well). The lessons are fun and engaging, the learning curve is nicely judged even for complete beginners, and there are plenty of languages to pick from. The apps cover speaking, reading, listening and writing, and you can split your time between games and more formal lessons to keep everything interesting. Perhaps best of all, you can dip in and out of the Duolingo apps for a few minutes at a time, so it's perfect for standing at the bus stop. If you want to teach yourself to code apps rather than just learn from them, then you're probably going to need a proper computer and keyboard at some point, but that said there are still plenty of mobile apps out there that can help you get started with programming or brush up your skills. One that we like is Udacity: the apps are actually just portals for video tutorials, but there's plenty of content here and it's all free to use (you can pay for extra support and guidance if you wish). There are also quizzes and games to work through. Learning to code isn't easy, but Udacity certainly helps. Let's be honest here - you can't learn to cook with just a smartphone and nothing else, because at some stage you're going to want to actually get some pots and pans out. But if you've got the equipment and the right ingredients then an app like SideChef can have you cooking up a storm in no time. As well as giving you access to thousands of recipes, just like all the other cooking apps do, this one includes step-by-step instructions for a lot of cases - if you're a beginner, you can start with the basics of how to cook an egg and then move on from there. Everything in the app is free to view and access as well. Rather than letting your phone constantly distract you and stress you out, why not have it teach you how to stay calm and tranquil instead? Enter Headspace, one of the leading apps for meditating - the app is free to download, and you can use the Take 10 (10 minutes a day) course free of charge too. If you like Headspace then you can pay for some more comprehensive courses, touching on everything from sports performance to personal relationships. You can see just from the screenshots how carefully crafted the app is, and it's a great meditation aid for relaxers of all levels and experiences. 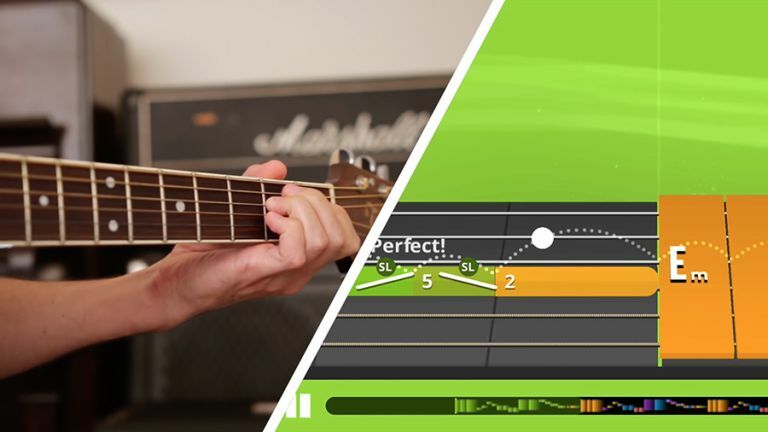 If you've determined to learn an instrument then give Yousician a go - it covers piano, guitar, bass and ukulele, and both electric and acoustic models, and you can play along with your real instrument while the app guides you. You can go at your own pace and there's a web interface too. The app is free to download but you'll need to pay to use most of its features, an investment you might consider worth it if you end up mastering a few instruments. The content has been put together by expert tutors, and there's plenty of variety in the lessons and exercises you can play along with. Maths might not be the most glamorous skill to learn but it's going to help you out in all kinds of ways in your day-to-day life - from making sure you've got the right change at the supermarket to totting up your quiz score every Thursday night at the pub. There are also lots of apps to lend a hand. One of the best we've come across is Maths Everywhere, which has a friendly, accessible interface and plenty of useful short videos covering topics like shapes, fractions, decimals, measurements and so on - pretty much all the scenarios you might have to put your maths skills to use in in the near future.